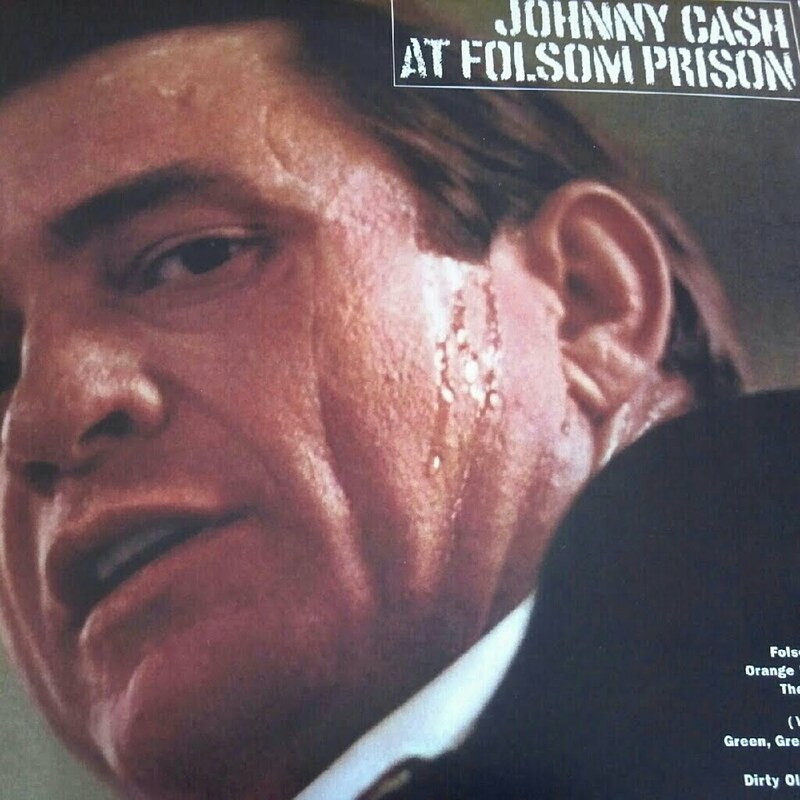 That question popped in to my head as I was cruising through my vinyl collection and I noticed the detail on one of my favorite live album covers: Johnny Cash Live at Folsom Prison. As I studied that bead of sweat trickling down the face of Mr. Cash, I thought how usually it’s the artist who is doing all the sweating during a show. But what if the concert is truly moving us, as fans, beyond the internal emotional experience? What about the shows that truly make us sweat? Do we get more enjoyment out of shows that move us physically and physiologically? Do fans like the Dancing Guy have more fun and pleasure than fans, or Looky-Loos that just watch the show without breaking a sweat? If there’s a difference between how women and men experience live music, is there also difference between how women and men pleasure sweat during a show? Is there a connection between the dopamine released when we’re sweating and experiencing a runner’s high and when we’re pleasure sweating during a concert? And if there is a connection, can we use that sweat ratio as a way to more accurately measure the pleasure of our favorite shows? And on the flipside, if we keep cool during concerts and don’t get more physically active to produce sweat, are we selling ourselves short and not getting the most out of our favorite shows? Yes, there’s lots of angels to this question. And of course, there’s good concert sweat and bad concert sweat. My chat with Rich Wagner of Rediscover Records where I bought the Johnny Cash album. My chat with Benjamin Slayter about why we seek altered concert experiences while rocking out at shows. I’m looking forward to hearing about what makes you sweat during a show and sharing your thoughts on a future episode of Live Fix Radio. It is the truly great singers and musicians that give the audience this feeling. It requires the artist to connect emotionally with the song and share that part of himself or herself with the audience. It is about digging deep within oneself and effectively communicating that through the music.